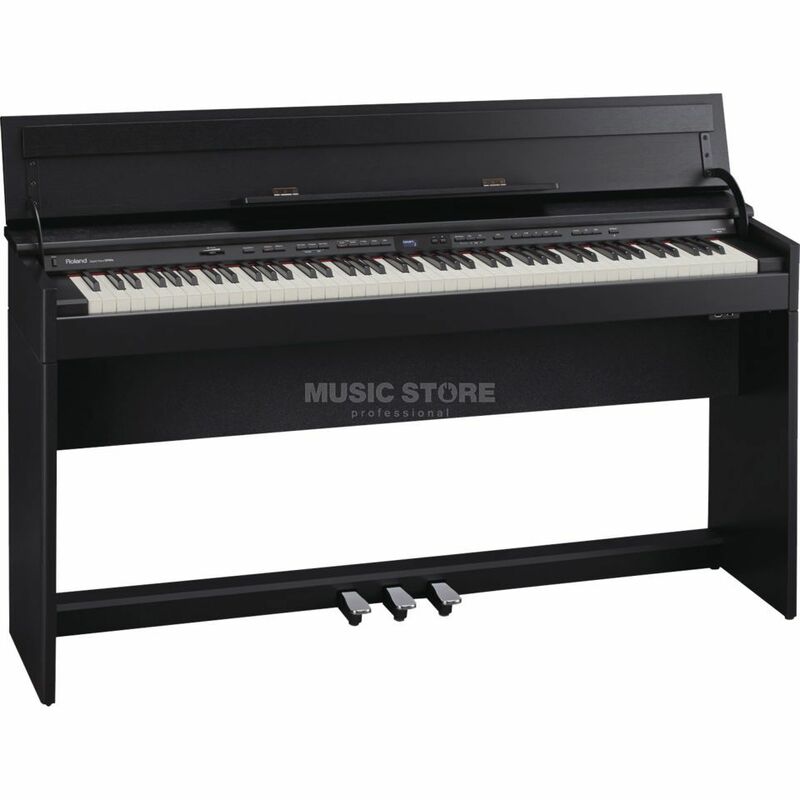 The Roland DP-90e 88-Note Digital Piano Black is a Digital Piano, with a PHA-4 Premium Keyboard, Individual Note Voicing, 3D Ambience Effect, a Built-In Metronome and Recorder, in a Contemporary Black finish. Delivering stunning touch and tone in a very compact size, the stylish DP90e brings top-level piano quality to any living space. Roland’s SuperNATURAL Piano sound engine has been enhanced with a Dynamic Harmonic feature for fortissimo playing, while the new PHA-4 Premium Keyboard with Escapement and Ivory Feel includes the latest touch-sensing technology for enjoying SuperNATURAL Piano’s rich tonal variations and natural dynamics. Powerful Individual Note Voicing gives you the ability to customize every note to your taste, and the unique Headphone 3D Ambience effect brings multi-dimensional sound to your private practice sessions. The DP90e is also compatible with Roland's great iOS piano apps, so you can use your favorite Apple mobile devices to enhance your learning and have more fun with the piano.